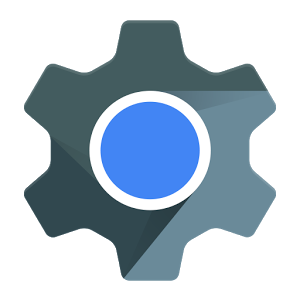 One of the less glamorous improvements to Android 5.0 Lollipop is the move to updating WebView via the Play Store rather than only with system updates. WebView is the component that lets apps render web pages internally rather than kicking you over to a browser. A recent update to WebView was crashes left and right, but now Google thinks it has that all sorted out. Google has updated the Play Store changelog to list the following fixes. Fixed inline video crash issues. Added workarounds for graphics driver bugs which were causing some devices to hang. The reports of app crashing started popping up a few weeks ago and were quickly tracked to WebView. Apps that used WebViews would just crash or hang without presenting an error message when certain videos and pages were loaded. Not all devices were suffering from the bug, but it was enough for developers to start hearing from angry users. Since this component is now based on Chromium, affected users had to wait for the update to filter down from that project. It appears the issue has been resolved in the issue tracker and the new version is rolling out. We've had this version on APK Mirror for a few days, and it seems the fix is legit. 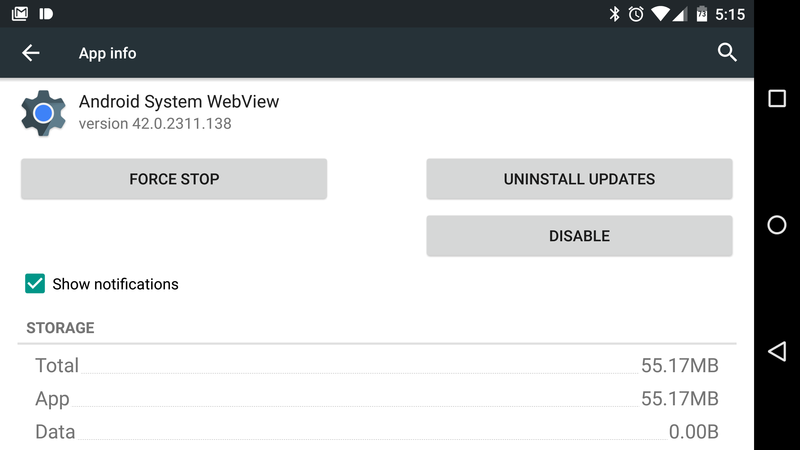 Of course, this only applies to Lollipop because older versions of Android don't get WebView updates in the Play Store.